Join Elizabeth and your fellow yoga practioners for a week of yoga, beautiful nature, delicious food, and, sunny beaches. The week-long yoga retreat is designed to allow you time to deepen your practice, unwind, and enjoy the beautiful region and its culture. Our retreat is located on a hillside between the historic town of Loulé and the Algarve coast, surrounded by almond and orange trees and close to gorgeous beaches. We will stay in a southern Portuguese estate, Quinta Mimosa, an established retreat centre. Quinta Mimosa is made of three restored traditional farmhouses, each with a large shaded terrace, swimming pool, outdoor sitting area, and free wifi. Arrival and check in are on Friday, June 8, from 2:00pm. Once you get comfortable in your room, you can take a dip in the pool, or explore the area before our welcome dinner. The 6-day yoga program will begin Saturday morning and end Thursday evening and is designed to develop and deepen your yoga practice. The mornings (except Thursday the studio is open for self practice) will begin with a 2-hour asana class from 8:3o-10:3oam in the fully equipped Iyengar yoga studio. After the morning class, we will meet for a rich and healthy brunch and then set o for the day. You will have ample free time during the day to go to the beach, explore the surrounding nature and villages, or just relax by the pool. We will offer joined (and optional) activities such as hiking, horseback riding, and nature walks. In the evenings (except Tuesday), 5:30-7:00pm, we will have a restorative yoga and pranayama (yogic breathing techniques) class. One evening there is extra free time to allow for longer excursions or massage treatments. Massage therapists are available onsite and the beach is 10 minutes away by car or taxi. We will end four of the days with a joined dinner at Quinta Mimosa and the other evenings, are free to explore the exquisite restaurants in the villages or beaches around. All classes during the retreat will be taught in both English and German. Fly direct from Berlin to Faro and we can arrange shared taxi or shuttle (upon reques for an extra cost) or you can rent a car at the aiport. Fly to Lisbon and take a train or bus to Loulé. Fly to Seville and take the bus to Loulé. Loulé is 10 minutes away and pick there can be o ered upon request. 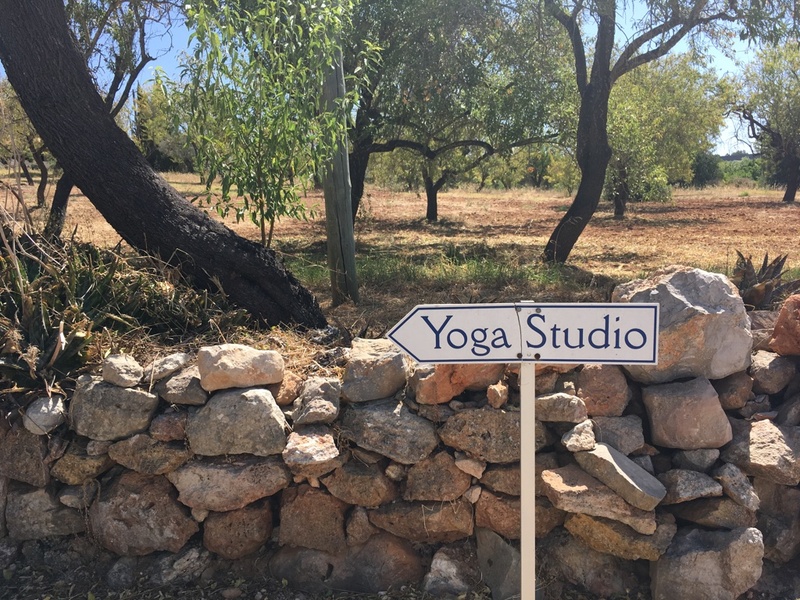 Non yoga partners are welcome at any of the above rooms with a discount of €150 on any of the above prices. A non-refundable deposit of €350 is required to con rm your booking. The remaining sum should be paid April 27, 2018.